Travel to Florida just got a little brighter. Blog Sisters learned about Florida Vacation Auction which lets you bid on a Florida vacation for either hotels, restaurants, attractions or a package. It's like eBay for Florida vacations. First, you sign up for the service which is free. Then you can either scroll through the featured deals on the homepage if you're undecided where to go, or select a city, arrival and travel dates. So we performed a simple but cogent analysis to determine if there was any significant savings. We looked at the Crowne Plaza Riverfront hotel in Jacksonville. On the homepage we saw a winning bid which just closed at $195 for a 3 day/2 night Romantic Escapade package (Friday and Saturday nights only; riverfront suite; breakfast for two; and champagne or wine and truffles). According to the site, if you bought direct from the hotel, you would pay $568. The Retail Value was listed at $728. So we opened a separate tab for the same hotel and went directly to their website and entered dates (which were not blacked out) for a 3 day/2 night stay in the low season of October. Sure enough the lowest rate was $274 per night for a minimum of $548 before taxes. That's over a 70% savings with Florida Vacation Auction. Are you a fan of golf, deep-sea fishing and diving for lobsters? 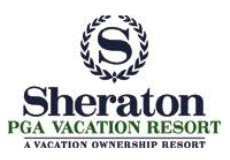 One lucky bidder just won a handsome deal at the Sheraton PGA Vacation Resort for 3 days/2 nights at Port St. Lucie for only $130. Buying direct from Sheraton is $350.00. A credit card is required to bid on an auction. If you are the winning bidder, the credit card is automatically charged for the winning bid amount. Let us know if your bid wins a Florida vacation auction by posting a comment on your experience! Thanks for the mention of our website, www.FloridaVacationAuction.com! Great info.. thanks for the share.. Thanks for sharing this information. I will be using this for my next vacation.